One of the highlights of my week is watching the new episode of the hit ABC television show, Shark Tank. Regular people, bright ideas and big risk! If you haven't seen it, Shark Tank is a show in which small business owners go pitch their product or business to a celebrity panel of investors, called Sharks in the show, in hopes that an investor might believe in them, guide them and partner with them to build their business. I get a rush from watching the show because you can watch as someone life-long dream is realized on live television! Shark Tank made its way into my classroom after seeing nine year-old Mikaila Ulmer make a deal with one of the Sharks for her company Bee Sweet Lemonade. The most interesting thing about her product is that her lemonade is all organic and naturally sweetened with honey from bees. A portion of her profits from each bottle sold goes towards the preservation of honey bees. As I watched Mikaila accept her investment offer I thought about the phenomenal support system she must have at home and school to pull something like this off. A year later, I found myself swiping my debit card at Whole Foods to purchase some of her organic lemonade sweetened with honey. As I finished my first of the three bottles I'd just bought I began to think of ways to inspire my students to think big and dream even bigger! The Shark Tank project was born in the checkout aisle of Whole Foods. I think the most difficult job of a teacher is to prepare students to fit in, augment and change an unknown future. In other words, we must prepare students for careers that do not exist yet. Surely no one in the 1970s prepared students to become app developers. There were no classrooms in the 1980s preparing students to design a self parking and driving car. Technology is changing, students are changing, the world is changing. All of this change means the classroom must follow suit. We, as teachers must prepare students for careers and a world which does not yet exist. With this in mind I designed the Shark Tank Project to teach several skills at once which students can use for the rest of their lives. The project teaches students to think critically about the world around them and the world they would like to see in the future, teaches them to collaborate and create with others and teaches them to communicate ideas effectively. This project involves a ton of planning, teaching and re-teaching from me. But it is worth it to give students a fighting chance in the world. For the project I organize students in groups of four. Their task is to brainstorm an issue which currently exists or that they anticipate existing in our city, Austin, Texas. The problem they define can be as large as the fight against pollution or as small as frequently lost keys. Then students are to design some product or service which will remedy that issue. Once their idea is approved by me, they begin building a working prototype, determining the cost to manufacture, figuring the cost to consumer, creating a business pitch and defining a business valuation. I then assemble a panel of five "Sharks," consisting of me, an administrator and three business professionals from the Austin community. For the presentation my students wear their best suits or design shirts with their company branding on them. In the tank, I have watched my students create, learn and grow. I have even had two groups of students get a real investment! This project changed the way my students think about the world and their place in it. It teaches and inspires. If you teach math, history or economics I recommend using this project. It will change your students and change the world. I was quite the squiggly fellow as a young child. Teachers, doctors and my rather rude next door neighbor all claimed I had a bad case attention deficit hyperactivity disorder or ADHD. Children with ADHD have trouble sitting still, focusing and often touch or grab everything in sight. I like to say that I had ADHDD, attention deficit hyperactivity disorder double. One of my earliest memories takes place in the Wal-Mart parking lot. While jumping out of my mother’s brand new 1995 candy red Chevy Blazer, yelling “Wally world!” My mother knelt down, held my hands to my side, looked me in the eye and said, “Michael, when we go into this Wal-Mart, do not touch anything.” Now for a 5 year-old with ADHDD, managing this task proved near impossible for me. So I devised a plan just as I was met with the arctic gust of air conditioning that hits your face as the automatic doors slide open leaving the Houston heat and humidity behind; I buried my hands in my pockets. When my mother saw my hands disappear into the deep abyss of the pickets, she knelt down again. This time I was sure she would say, “Michael, you are so smart and clever! I’m so proud of the way you are self-managing your ADHDD, I am going to buy you ice cream!” The proud smirk stretched across my grinning face quickly shrank into a look of confusion. My mother went on to tell me never to go into another store with my hands in my pockets. Feeling completely helpless I glanced down at my hands. If I could see my hands, and if my hands could see all the interesting things for a 5 year-old with ADHDD to touch in Wal-Mart, I was sure to break my mother’s original rule. So I looked at my mother with all the determination I could muster. Suddenly, I shot both of my hands in the air and clinched the side of the shopping cart. ADHDD was not going to win today. After years of avoiding my pockets and store merchandise, I had become quite skillful in the art of making detailed shopping lists, researching online before I entered the store and even calling ahead to ensure that I never picked anything up I was not going to buy. Take that ADHDD! My first independent mall trip was to West Oaks Mall in Houston, Texas. I was thirteen years old, so practically an adult, and I decided to meet up with some other thirteen-year-old adult friends at the mall. This trip to the mall was a huge deal to me as it was my first outing without adult supervision. I was focused and ready to “adult” for the first time! West Oaks Mall was by no means a great mall but was just good enough to not be an awful mall. It was satisfyingly average. Only a few empty storefronts, a decent food court with a Taco Bell and one of those “Mongolian” grills that doesn’t actually have Mongolian food. West Oaks was a regular mall for regular people. As we walked around the mall, my friends and I were accompanied by our useless chatter about basketball, girls at school and the latest movies in theaters. Store to store, talking, laughing and occasionally shopping. On our way out of what we thought would be our last store for the afternoon, I was grabbed by the collar of my shirt and looking at an average sized mall security guard. “Gotcha!” he exclaimed as if he were Sherlock the Mall Detective. “We are going to need to take you in and review your ‘purchases.’” He said making sure to use intense finger quotations. “Hands out of your pockets and against the wall.” I was frisked, my purchases were dumped onto the floor of the mall walkway and I was rather loudly interrogated about which stores I had visited. Humiliation turned into fear when the real police arrived, put me in handcuffs and escorted me to the private surveillance area in the back of the mall. The surveillance area was an old dusty room that resembled a janitor’s closet. The only difference was the makeshift mall jail cell and two outdated computer monitors that looked like they climbed out of the DeLorean with Marty McFly. While the police and mall security backtracked my steps and checked my receipts and searched my clothes and examined my shoes, and read off a list of missing items I did not have, I realized that I was the only one in my group investigated. I was also, the only black person with my group of friends that day. Two hours later, I walked out of the mall trying to catch my tears before they hit the ground. I wiped my eyes and clenched my teeth as I climbed into my buddy’s truck, praying his dad would not ask me about what happened. I didn’t want to talk about it. I didn’t want to think about it. I had done nothing wrong, but I felt like I had. I was a straight A student and speech and debate nerd who spent my weekends debating about U.S. foreign policy yet, I was labeled a shoplifter, a thief, a common criminal. It was almost as if my skin had become my sin. I did nothing the peak anyone’s suspicion. I did nothing to deserve this treatment. For the first time in my life, I understood that my ADHD had nothing to do with the warning my mother gave me in the Wal-Mart parking lot. I no longer touch things I cannot afford. I make small talk with mall security guards to ensure them I am not the type of black person that would steal anything. My hands stay out of my pockets. I shop in fear. I far too often live in fear. I have to. I went to an amazing high school. It was an extraordinary public school, diverse, state of the art and filled with phenomenal teachers. Westside High School, nestled in a very affluent neighborhood, has two robotics labs, a black box theatre, a giant auditorium, three basketball gyms and a conservation garden. While most students complained about lunch food, Westside students have a full service outback steakhouse attached to the school for its culinary arts program. It would be more than safe to say that this high school is a dream. Great teachers, great facilities, great area of town. High school was about the time where I grew independent, as most children do. Since I had no car but longed to control my own schedule, I walked and rode the city bus often. On my sixteenth birthday I walked out of the school building and gazed into the sky. I was sixteen, which meant I was almost eighteen, which meant I was almost twenty-one, which meant that I was an adult! Since my walk home was about four miles, I didn’t have a normal walking crew so I normally made the journey home accompanied by my music. I walked to the bus stop as I had down many times before. I struck up a conversation there with an old man pulling an oxygen tank. I actually liked riding the bus because I got to meet all kinds of new people. While giving him my seat on the bus stop bench, I noticed small blue numbers tattooed on his arm and began to inquire about where he was from and what brought him to Houston. 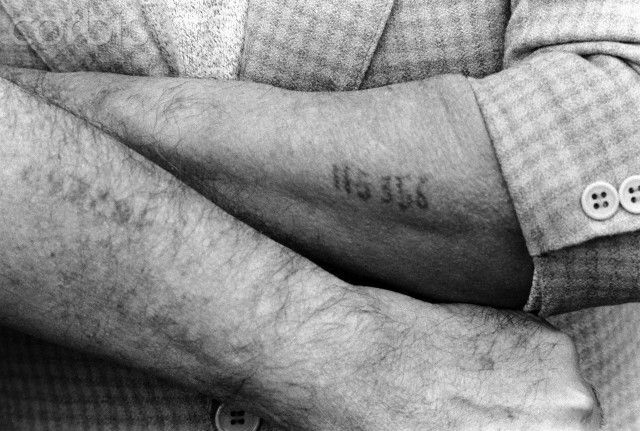 He was a Holocaust survivor who had survived the camp at Auschwitz. He rode the bus just to get out of the house and get his blood flowing each day. This was particularly interesting to me because I was currently taking a Holocaust studies elective class in school. Just as our conversation became extremely interested, we were interrupted by two police cars abruptly pulling up to the bus stop. Four different officers jumped out, quickly approached me and the old man with hands on their 9mm handguns. Two officers spoke with the old man telling him that they needed to speak with someone at the bus stop and they needed to move him out of a “potentially harmful situation.” The other two spoke to me, telling me I needed to come with them because they were looking for an eighteen-year-old black male with short cut hair, between 5’ 9’’ and 5’ 11’’ and I fit that description. Before I could reach for my ID in an attempt to exonerate myself, they grabbed me, pinned me down on the bus stop bench and handcuffed me with this plastic fastener. It was almost as if I was hogtied. I was then yanked to my feet and quickly searched. “Is this your cell phone?” “What is the phone number?” I gave them my phone number as an officer called the number to make sure that my phone would actually ring. One of the officers reached for my wallet, in my back pocket, making sure the pull down hard on the seemingly makeshift handcuffs on me. As I winced in pain my mind immediately began racing alongside my heart. My breathing began to shorten, palms became sweaty and my eyes began to burn. I watched the police go through my backpack, leaving my binders and books thrown carelessly onto the pavement. In a flurry of answering questions, being search and fearing for my safety, I almost didn’t hear the old man pleading on my behalf. “Leave this young man alone! He is a student at the high school. He is a good boy!” The old man exclaimed as he inched his way back into the scene dragging his oxygen behind him. Once the police were satisfied that I was not the person they were looking for, they un-cuffed me. One officer looked back at me on the way to his car, “Hey kid, we are just doing our job. It’s nothing personal.” Climbed in his car, and left. He was just doing his job. With sore arms, a bruised spirit and damaged pride I started the into the distance as the police officers drove off. An anger I had never known began to rise up within me. The more I heard the words, “we are just doing our job…” in my head, the more I wanted to explode. I wanted to retaliate. I wanted to fight back. I wanted the loss of jobs. But who could I call? I was being harassed by the police. A few weeks ago I found myself sitting in a room next to my wife, listening to a man, crowned with a kippah and adorned with the excitement of a six year old in Toys-R-Us teach us about what he said was, "...the most important thing you would ever learn about the Bible on a Monday." Greg Stone (the man's name) would go on to explain why many of us in that room did not have the understanding of the Bible and our Christian faith we all thought we had. After sitting through ninety minutes of his talk, praying and reading for weeks, I have become convinced that I now understand the Bible and it's purpose more than I ever have before. It is this epiphany which compels me to inform you that you have been reading your Bible incorrectly. Your Bible reading is likely incorrect because you do no understand the relationship Christianity has with Jews. I hope to help you achieve the understanding I have recently grasped about the Bible through exploring three relationships with you. First, the relationship between Jews and God, second, the relationship between Jews and Jesus and finally, the relationship between Jews and You (The Gentile). I want to be clear; I do not claim to be a theologian or biblical scholar. But I do claim to be a disciple of Jesus Christ who is committed to seeing Jesus transform the lives of all men and women on earth. I believe this knowledge will change the way you read, think and tell others about Jesus. This morning as I was reading in the book of Genesis I was struck with an inescapable reality. Though I had read and heard many stories from the Old Testament, I had never understood the purpose of the Old Testament. It was once believed that the Old Testament showed a different side of God. Many evangelicals today have claimed that the Old Testament shows how desperately depraved the world was and thus shows the need for Jesus to rectify the sins of the Old Testament heathens. 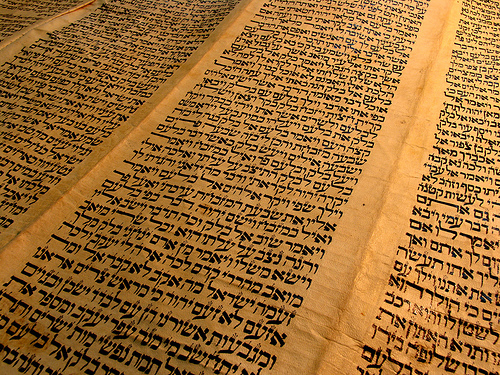 These set of Hebrew (or Jewish) writings, which we know to be the Old Testament, are God's systematic chronology concerning the Jewish people. More specifically, the bloodline and family history of the most important Jewish man in history, Jesus Christ. When you understand the Old Testament as the history of a culture which you have never been a part of, it redefines the purpose of the words. The Old Testament, is the history of the Jewish people and the Messiah whom they would later execute. For me, understanding this concept with the simplicity it deserves changed the way I understood Abraham, Sampson, Moses, David and Solomon. Jewish men, whom we tell our children stories about in hopes that David's courage would inspire a five year old to be brave on the first day of kindergarten. The Old Testament tells us a great amount about how God relates to the Jewish people and thus, how he relates to Christians. God chose the Jewish people as his own in order to bless the entire world. In the Old Testament, we see time and time again, the goodness of God to his chosen people. We see him part a sea for people to walk through, leading them with a pillar of fire and a smoke stack. We see him command lions to rest with a man in peace. We see him flood the entire earth and save one man's family. We see God destroy entire cities and civilizations on behalf of the Jewish people. God empowered a kid to slay a giant. He gave one man super human strength to kill an army of men with a jawbone. God moved all of heaven and earth for the Jewish people in the Old Testament and he did so because the Jewish people were going to bless the entire world. In other words, the Old Testament is the story of how the Jews were chosen so that you and me may know God. It seems logical that a relationship to God also means that Jews have a relationship to Jesus. If you are unfamiliar with the Christian faith, we believe that Jesus is one hundred percent man and one hundred percent God. Thus, a relationship with God also yields a relationship with Jesus. But I want to specifically lay out in this section, how Jesus relates to the Jewish people, culture and faith. One of the most important defining characteristics about Jesus is whom God chose to be his earthly parents. God saw fit to choose two Jewish people (Mary and Joseph) to raise his only son on earth. Jesus was by birth a Jewish man. This by very nature connects Jesus Christ to the Jewish people. However, Jesus was more than just a Jewish man. He was the Messiah whom the Jewish prophets (Isaiah 53) wrote about in the Old Testament. Jesus came, to save the Jew in order to provoke the rest of the world to jealousy that they may want the same salvation and come to follow Christ as well. Jesus' ministry connects him to Israel and the Jewish people in many ways. First, he chooses twelve Jewish men to call his disciples, appointing each of them to sit next to him in heaven on twelve thrones while judging or repairing the relationship of the twelve tribes of Israel which are outlined in the Old Testament. Furthermore, when that scene occurs in heaven, Jesus will be sitting on the throne of David in a place known as New Jerusalem. In fact, the first time that Jesus sends his disciples out to tell the world about the Messiah who has come, he sent them only to the Jews. Jesus came to rectify the Jewish relationship to God. In the Old Testament, you see the people of Israel waiting for their Messiah to come. When their Messiah, Jesus, comes, they are overcome with disbelief, then team up with the Romans to murder Jesus. Israel turned their back on their Messiah and thus on God. This is why Jesus saved you. In my studies of this topic, I find this point to be most salient and pertinent when considering our need to learn and loves the Jewish roots and connections to our faith. Because the Jews turned their backs on the Messiah who came for them, so that they may be the people to bless the world by provoking us all to follow Jesus, he chose us, the gentiles. If you are a Christian today, you are a gentile. The word gentile means a person who is not Jewish so technically, anyone who isn't Jewish is a gentile. God chose the Jewish people as his own, so that you might be blessed enough to know him. When they turned their backs on him, God chose you, a gentile, so that his original children would return to him. The best way I can drive this point home is to give you a message God once gave to Pastor Robert Morris of Gateway Church in South lake Carol, Texas. One morning as Pastor Robert was burdened to pray for Israel, God told him to picture an orphanage. "The head of the orphanage was a very cruel man. Down the road from the orphanage lived a very benevolent father. He came up with a plan to adopt all of the children in the orphanage because he wants them all adopted. So he adopted a few of them to show them his love and his kindness to make others want to be adopted. And it worked. Many of the orphans chose to be adopted by this benevolent father. But the original children that he adopted got jealous and left." The original children who became jealous are the Jewish people. All the others who were coming after the original children, are us. The Jews were chosen for you and you were chosen for them. It is my hope, that this reading has inspired you to learn and study the Jewish roots of our Christian faith. Until we understand the roots of our faith, we will never understand the book we have been given which gives us purpose. Why you should be talking about Olowo-n’djo Tchala. I recently found myself perusing the hair and body aisle at Sprouts farmers market, attempting to pick up some all natural lotion and body wash for my wife. While overwhelmed with the scent of Shea butters, coco butters, lavender and this old woman who's perfume was sure to suffocate me, a particular bottle caught my eye with vibrant color, and beautiful designs on the bottle. I picked up the bottle and began to read the ingredients as I had seen my wife, Alex, do on many occasions. I wanted to make sure to follow her rule when buying hair and body products: "If you can't pronounce it, it's going to give you cancer." I could hear Alex's words echoing through the empty spaces in my head as it started to pound from the headache I began to have from the inescapable stench of the old woman's fragrance. She smelled as if she had bottled up a 1920s basement smell layered with the aroma of cigarettes, then bathed in it. As my headache grew stronger my will to make a selection did with it. I snatched the bottle of African black soap body wash, I had been intrigued by earlier, off the shelf and then grabbed a familiar looking bottle of lotion. As I was checking out I performed a rapid label check to see if I could pronounce all of the ingredients, followed by the swipe of my debit card and scuffled out of the store. I had done well in my husbandly duties and I followed my wife's rule! I arrived home, proud of my accomplishment, and handed Alex the items I just suffered for. She was extremely excited to see them and appeared to fall in love with the color and design of the bottle as I did. Alex was able to read something written on the bottle, I failed to in my escape of old lady stink-a-lot. As she read the story of the company which produced the body wash and lotion, (I inadvertently grabbed the same brand and by the grace of God looked like a hero to my wife) her voice and facial expression began to read excitement. She had found her new favorite hair and body product line. Any woman with natural hair will be able to describe with great detail the importance of this feeling but as a bystander, I can tell you that it is important. Not only did the product work, it was fair trade, supported African communities and was black owned. Upon further research of this body product and the man who runs the company, I began to wonder why more people are not talking about its founder and owner. Alaffia, a common greeting, or valediction, originating from Central Togo, Benin and Nigeria, is the name of the company which produces the spectacular products that made me a hero. The company is founded, owned and operated by Olowo-n'djo Tchala and his wife Prairie Rose Tchala. We should be discussing Olowo-n'djo Tchala because he is more than a business owner; he is a hero. Olowo-n'djo Tchala was born in Togo where he, his mother and seven of his siblings lived in an 8'x 10' room. Due to a lack of tuition money, he dropped out of school in the 6th grade and began helping his mother work a Shea nut farm. Tchala met the woman whom he would lady marry, Prairie Rose Hyde, in 1996 while she was working in Togo for the Peace Corps. Once Olowo-n'djo went to America with Prairie Rose, he began to wonder why Togo was home to so much poverty when it was also home to plentiful natural resources. It was then that Tchala and his wife birthed Alaffia, a hair and body product line which also empowers the people of Togo. Alaffia employs more than 3,000 women and 1,200 men in Togo, all of which are paid a living wage to farm Shea nuts, produce hair and body products, make scarves and weave baskets. Alaffia's large product lines and affiliate labels provide many opportunities to employ the people of Togo. The Tchalas' company also has funded more than 4,000 births in Togo, donated 14,000 pairs of eyeglasses, distributed more than 7,000 bikes, provided more than 23,000 students with school supplies, has built ten schools and has planted over 42,000 trees. Moreover, Allaffia has launched a new project to end female genital mutilation in Africa. Olowo-n'djo Tchala and Prairie Rose Tchala are more than just business owners; they are heroes. They have done more with this business than most of us can hope to do with our entire lives. I want to be clear when I say that I am seeking to tell the inspiring story of a man who is changing his community. Obviously, I think you should buy their products to support their efforts in Africa but it should be expressed that I also feel that Alaffia provides some fantastic hair and body products. You can have healthy hair and skin, while supporting African communities and economies! I am continually amazed at the amount of attention we give to the Kardashian family, Beyonce's Lemonade, Stephen Curry and all these people who do "good" things, but seem to ignore the efforts of those who are using their every resource to, as Malcolm X once exclaimed, "Improve this miserable condition we are all subject to." My challenge to you is this: be inspired and be an inspiration. I hope the Tchalas' company inspires you to support companies who build and bolster global communities. It is also my hope that you would be inspired to actively participate in building and bolstering your own community! Check out the Alaffia website! "When I say go, take the next 6 minutes at a level two voice to come up with your own creative attention getter in your groups. Remember, you want us to be interested in what you are about to present on China. Go!" I boldly and confidently explained as my students began to brainstorm and mill over their notes to assist them in completing the task I'd asked of them. "Give me 5" I say lifting my hand as the universal classroom, "let's come back together and review," symbol. Students raise their hands in compliance until I tell them to lower them. I then began calling on each group to share their attention getter with the rest of the class. To my surprise and dismay, four out of the five groups present wrote stories about a person, dragon or dog urinating in the waters of the Huang He River and exclaiming with smiles as big as expanses of building archways. Each group was so proud each detail which made up their urine tale. I started to become deeply concerned after the same thing happened in the next two classes and every other class that day. During this activity, students were only allowed to speak with members of their group. I frequently circulate and monitor my classroom during activities so I am sure that there was no collusion during the activity between groups. I suppose students could have spoken to one another outside of class but the likelihood seems low that they would bring their pee stories from social studies class to lunch with them. Not willing to label my students as unimaginative minds just yet, I decided to test the theory I had brewing. The next day, students would be creating posters about China in class. That morning, I created one as a model (I normally do things like this) but this time, when I showed students, I told them it was from "students in another class period." I would watch almost every group that day try to replicate my poster exactly all day long. My little experiment confirmed an idea I was previously unwilling to admit. We have killed creativity in schools. Beaten creativity over the head with rote memory of mathematical formulas, stabbed creativity in her stomach with boring reading passages and lame accelerated reader programs and finally we finished creativity off with the yearly assault we call standardized testing. Today's American students lack creativity and imagination and it's our fault. When I say our I mean our public school systems (yes teachers included). We have killed creativity by cutting education funding, over emphasizing reading and math (resulting in a lack of emphasis on elective courses) and by hiring teachers who don't like creative students. According to Valeriya Melta's article, "School Art Programs: Should They be Saved?" published on lawmediastreet.com, 95 percent of American students attend public schools whose budgets have been drastically cut. Melta continues to point out that when school budgets are cut, they first programs to go become elective classes like art, theatre, choir and band. CNN's Carolina Miranda reports in her article, "Why We Need to Let Kids be Creative," that every student needs an outlet by which to "express and explore their own sense of creativity." When there is a shortage of creative classes for students to take in school, we are asking children to operate as, what Miranda calls, "educational drones" or students who sit more than 300 hours per week and are asked to speak only when spoken to. We have murdered our any chance of an imaginative and creative mind for our students by prioritizing dollars over the minds or our nation's youth. I know this argument, especially for many teachers, may serve to shock the eye. However, while shocking, this assertion finds truth for a few reasons. In Valeriya Melta's aforementioned article, she makes the case that a lack of fine arts programs places a heavier emphasis on core subjects. In the minds of many, primarily those who teach core subjects, emphasizing reading over art seems logical. The reason over emphasizing reading and math becomes problematic is because both subjects are heavily tied to standardized testing. When we focus our student's efforts solely on standardized testing we leave them unprepared to think, articulate, compose and create on their own. Standardized tests rely on the rote memory skills, matching and, quite honestly, guessing. These faculties do not produce imaginative and creative students and they certainly do not prepare students for the intense composition and creativity required at the collegiate level of education. The last big factor contributing to the death of creativity in the American student is that teachers don't like creative students. Alex Tabarrok writes, "One of the most consistent findings in educational studies of creativity has been that teachers dislike personality traits associated with creativity..." in his article "Teachers don't like creative students." Tabarrok goes on to say suggest that teachers prefer traits that run counter to creativity such as conformity and "unquestioning commitment to authority." I unfortunately have seem this to be true with many of my coworkers and past teachers. Teachers often love to enlist worksheets, neat and tidy tests and projects which don't involve a great deal of imagination. Any student who asks, "why?" at the request of a teacher or administrator is then labeled permanently insubordinate and suffers for that question for the duration of the school year. Too many teachers fail to help students view failure in a way that suggests that students can still learn when their grade is not "acceptable." This is especially problematic because we are allegedly training students to fill careers and jobs which do not yet exist. We have killed creativity because we as teachers hate creative students. I have suggestions of my own which I believe would remedy this issue but I would love to hear your thoughts. Comment and tell me what you think! I was living inside of this dream once. I walked around in what felt like my skin and a house I did not yet recognize. I crept from room to room with great trepidation. The kitchen was oddly placed in the house and equipped with stainless steel appliances, utensils and a rather large table hugged the corner of the room. There was a living room adorned with broken furniture. A shattered lamp, a couch with missing cushions, a mirror starring at me with a large crack. I took a turn down a strangely lit hallway and found myself in a library filled with books. I reached for a book with the familiarity of a child grabbing his favorite book before bedtime. This library felt like mine. I wrote the book I grabbed. It was ripped and incomplete. I found several journals I had written before I realized that every book in that library was authored by me. Books on many subjects and many topics filled this library and they were all mine. When I awoke, I began creating this blog. This library of ripped, unfinished books I have been living with for years. 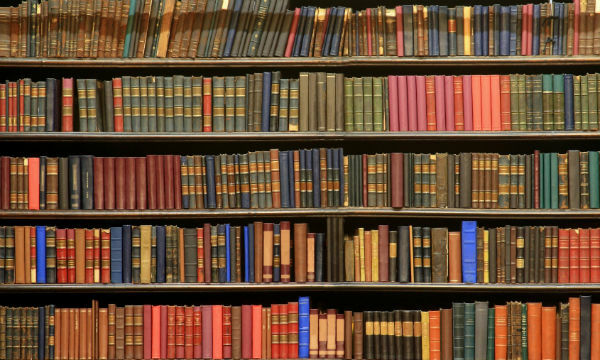 I have many books inside of me and many thoughts which are not expansive enough for print. So here they will live in this digital library that you may visit whenever you please.